Thursday is once again upon us, bringing with it a brand new Nintendo Download for all those lovely eShops. It's a big one this week, with everything from returning classics to some exciting new entries from the world of independent development. As always, leave a vote in the poll below and a comment, sharing your hot picks from the hallowed haul. Enjoy! Professional Construction – The Simulation (United Independent Entertainment, €39.99 / £35.99) - Immerse yourself in the sprawling and fascinating world of road construction! Experience life on the construction site like the pros, and use heavy equipment and massive machinery. Enter an open world scenario to complete a large variety of assignments. There's no way you can get bored repairing roads and doing so much more. Baobabs Mausoleum Ep.1: Ovnifagos Don't Eat Flamingos (Zerouno Games, €5.99 / £5.39) - Discover Baobab's Mausoleum, a retro point and click adventure in J-RPG format that you will never forget. ACA NEOGEO TOP PLAYER’S GOLF (HAMSTER, €6.99 / £6.29) - “TOP PLAYER’S GOLF” is a sports game released in 1990 by SNK. Three modes, STROKE PLAY, MATCH PLAY, and NASSAU GAME, are available along with two types of courses. You'll find yourself fully absorbed in this game's immersive graphics and strategic skill planning. 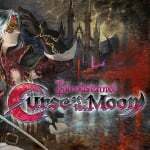 Bloodstained: Curse of the Moon (Inti Creates, €9.99 / £8.99) - Play as Zangetsu, a demon slayer bearing a deep grudge, who must travel through perilous lands to defeat a powerful demon lurking in a dark castle. Zangetsu will meet fellow travelers along the way, who can join your journey as playable characters. Calculation Castle: Greco's Ghostly Challenge "Addition" (Media Five, €8.49 / £7.50) - Finally, on the Nintendo Switch, a game that lets your child enjoy studying while challenging their skills in math has entered the world of gaming. It contains a collection of addition problems and math drills learned at the elementary level. Calculation Castle: Greco's Ghostly Challenge "Division" (Media Five, €8.49 / £7.50) - Finally, on the Nintendo Switch, a game that lets your child enjoy studying while challenging their skills in math has entered the world of gaming. It contains a collection of division problems and math drills learned at the elementary level. Calculation Castle: Greco's Ghostly Challenge "Multiplication" (Media Five, €8.49 / £7.50) - Finally, on the Nintendo Switch, a game that lets your child enjoy studying while challenging their skills in math has entered the world of gaming. It contains a collection of multiplication problems and math drills learned at the elementary level. Calculation Castle: Greco's Ghostly Challenge "Subtraction" (Media Five, €8.49 / £7.50) - Finally, on the Nintendo Switch, a game that lets your child enjoy studying while challenging their skills in math has entered the world of gaming. It contains a collection of subtraction problems and math drills learned at the elementary level. Dead Fun Pack: Penguins and Aliens Strikes Again (Enjoy Up Games, €6.99 / £6.29) - Dead Fun Pack: Penguins and Aliens Strikes Again is a collection for those who love challenges, including Run Run and Die and Mutant Alien Moles of the Dead. Escape Game : Aloha (Silver Star, €4.99 / £4.49) - You are in a beautiful villa overlooking the sea in Hawaii. Find and combine items, solve puzzles, then escape! After the ending, play hide-and-seek with animals!? N++ (NPLUSPLUS) (Metanet Software, €14.99 / £13.49) - This is the sequel to N+, rewritten from scratch to be bigger, better, and more beautiful in every way. N++ is a fast-paced, momentum-based platformer about darting around obstacles, narrowly evading enemies and collecting gold in a beautiful minimalist landscape. 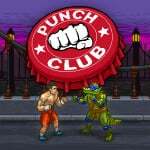 Punch Club (tinyBuild Games, €14.99 / £13.49) - Punch Club is a boxing tycoon management game with multiple branching story lines. Your goal is clear, but how you get there depends on whether you want to legitimately climb the rankings, or take the more ridiculous, shady route. Zen Bound 2 (SecretExit, €14.99 / £13.99) - Wrap your way to bliss in Zen Bound 2, the unique down-tempo indie game! This is an opportunity to slow down, zone out, and focus on a task that’s challenging but not stressful: a set of gentle spatial puzzles. The goal of the game is to paint wooden sculptures by wrapping them with rope. 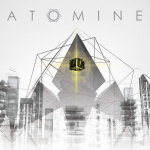 ATOMINE (MixedBag, €8.99 / £8.99) - Atomine is a twin stick procedural rogue-lite shooter set in a virtual world with minimalist design, where the player recounts on the screen the real events of STUXNET, the first weapon ever created in the form of computer virus. Dungeon Rushers (Plug In Digital, €14.99 / £13.49) - Dungeon Rushers is a 2D tactical RPG combining dungeon crawler’s gameplay and turn based fights. Manage your team, loot dusty dungeons, crush armies of monsters and craft mighty equipment. Be part of an epic adventure with a colorful cast of characters in an off-beat universe. Enigmatis 2: The Mists of Ravenwood (Artifex, €14.99 / £13.49) - A year has passed since the events of Maple Creek. But for the past few months, our detective has been hot on the trail of the demonic preacher she fought one year ago. Who is the mysterious prisoner she meets on the forest path – someone stalking her every move, or a possible ally? Is she merely a puppet being used in forces from outside our world, or will she finally resolve the evil events that began one year before? Jurassic Pinball (EnjoyUp Games, €1.99 / £1.79) - Enjoy Jurassic Pinball, a perfect reproduction of a real pinball machine, with all the graphic details and sounds. Discover all the secrets, complete all the missions and become number 1 in the world or the best among your Friends, posting your high score on the online leaderboard. Mecha Storm (ENP GAMES, €19.99 / £17.99) - Fight for the destiny of the Galaxy by completing over 50 challenging missions in exciting mech vs mech combat! Utilize various strategies, and mech-types to claim victory against the enemy. The end is drawing nigh, and the Galaxy is waiting. Will you choose to answer your call? 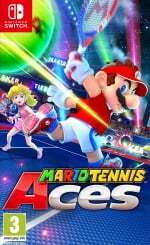 Mario Tennis Aces - Pre-launch Online Tournament (Nintendo) (Free) - Eager to hit the court in Mario Tennis Aces for Nintendo Switch? Mark your calendars and get warmed up for the Pre-launch Online Tournament, set to serve up good ol’ tennis fun from 15:00 (UK time) on June 1st, right through the weekend until 23:59 (UK time) on June 3rd! Aspiring aces can take to the court as Mario, Peach, Yoshi or Bowser to face off against other tennis hopefuls in online tournament matches, or sharpen your skills by practising against the computer. As a reward for taking part, you’ll receive a special outfit for Mario to use in the full game! LEGO The Incredibles (WB Games, €59.99 / £49.99, pre-order from 23/05/2018) - Pre-Order until 15/06/2018, 14:59 local time + BONUS Game description: Experience the thrilling adventures of the Parr family as they conquer crime and family life through both Disney-Pixar films The Incredibles and Incredibles 2, in a LEGO® world full of fun and humour. Shape of the World (Plug In Digital, €14.99 / £13.49, pre-order from 23/05/2018) - Pre-Order until 06/06/2018, 14:59 CEST Game description: The world that grows around you... The environment and flora constantly flourish and fade as you wander in Shape of the World, a serene and surrealist first-person explorer. You’ll travel through dream-like forests, aquatic caves and peaceful shores accompanied by psychedelic wildlife. 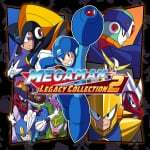 Calculation Castle: Greco's Ghostly Challenge "Addition"
Calculation Castle: Greco's Ghostly Challenge "Division"
Preordered the Mega Man Legacy Collections awhile back, downloaded the Sushi Striker demo and will also download the Mario Tennis Aces demo when it's on the eshop. Got the XC2 expansion pass back in December so I'll check out the new quests tomorrow. Definitely want to get Bloodstained Curse of the Moon, will also download the Mario Aces demo to see if it's worth the purchase come June. 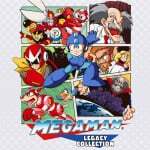 Will also get the first Mega Man Collection. I am crap at the games so will not need to be buying the second just yet. Wow Zen Bound is expensive for a very very old iPhone game. Wow FIFA18 is cheap for a new-ish game that I guess nobody wants to play. The Sushi Strikers demo should have been for 3DS too.Nintendo itself said that a lot of people still own ones,and many of them aren't going to spend 50 euros for that game without at least trying it first. Bloodstained for me and that's it. Actually have touched the switch since march, too many ports lately, WiiU games AND indie ports. Bloodstained will get me back to the system. I'll have a little look on the eshop, see if anything tickles me fancy. 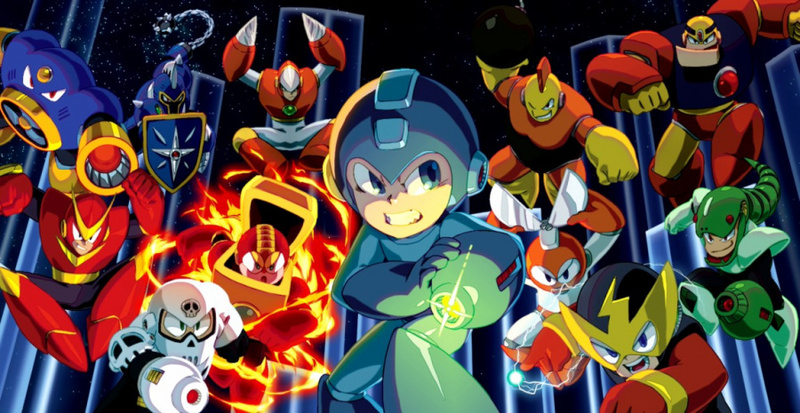 Any goos side scrolling beatmups come out? @terry93 I was wondering the same thing. When i first saw it i wanted, but from some of the reviews it put me off. Anyone got any views? Another bumper week. Got a few possibilities but need to see reviews. @riChchestM According to Nintendo fans on this site, FIFA 18 on Switch was a huge success. I’ll probably pick up the Mega Man collection further down the line, and Street Fighter was shipped today, but nothing for me this week. FIFA 18, aside from being digital, is a game which had its days numbered, as usual with annual sports games, and football/soccer leagues have finished already, so no one cares. Steamworld Dig 2 is so going to have a retail version that I won't fall. No Pixeljunk Monsters 2 is disappointing if it’s coming to US. Might try and download from the US eshop. Hopefully we get a decent sale during E3! @BigKing pretty sure it’s done over a million with physical and digital which is great for a Nintendo system. We will see at E3 if FIFA 19 is announced for switch then EA must be happy as let’s face it they wouldn’t bother if it wasn’t making money for them. Wait, Suhido is going to be 50€? How? It doesn't even look like a 30€ game! Should Mario Tennis Aces not be in next weeks? @Kosmo Some people on Youtube and other websites keep saying that its because it has a lot of levels and voice acting.It might be but I think its unlikely. Am I right in thinking that you can play around offline in the Mario Tennis Aces demo to get a feel of the game before its proper online tournament?? The description says to "get warmed up" so i'm assuming so. Anyone have any opinions on unholy heights? It is on sale for rest of today and Rogers base was raving about it. @Kosmo They'll need to make their money back after paying for voice acting, a theme song and anime cutscenes. 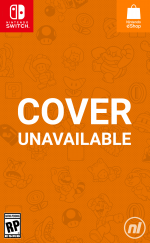 Can't find Mario Tennis demo from the eShop. I wanted to download it in advance so I get to play it the moment they start testing online. Only Ikaruga for me this week since DS Remastered was delayed. Will eventually get steamworld dig 2 on physical. very strange, 25% is no deal anyway. you pay a average price of $20,- you pay $15. for old games that are cheaper on almost every other system. nintendo has the most poopy deals of all. looks like nintendo ask alot of money from developers, ti put these games on their server. That Bloodstained game is awesome! How many games this week!?!?!?!? Those math games are absolutely despicable. All they've done is change the mathematical symbol in each game and are demanding full price for each. Otherwise, the games are completely identical. Worse still, each game's file size is exactly the same and to own all four will take up close to 2GB of space when it could have collectively consumed only 400MB instead. Gotta love those 10% off deals. Got Punch Club and Runner 3. That Mecha Storm game sounds intrigueing but the store page doesnt really offer much in terms of what the game is actually like. Bloodstained for me, despite being a Kickstarter backer it seems 505 Games didn’t bother to order the codes for backers so I’ve just bought it. It’s only £9 and I want to support Inti Creates anyway after the masterful work they did last year with Mighty Gunvolt Burst and Blaster Master Zero. I’ll probably give my code away when I eventually get it. @S4ndm4n everything on the eshop is expensive in the UK. 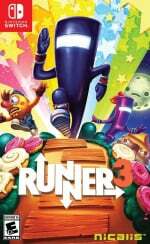 Runner 3 is £8 on the Mexican eshop Store. The eshop sales are also a joke. Crypt of the Necrodancer seems interesting and maybe Aqua Kitty UDX. @riChchestM Fifa 18 has sold 0.80 million units on switch according to VGChartz. I think some people want to play it. The Street Fighter collection is out this week in the US, but not in the UK. Most displeasing. Nintendo, enough with the regional absurdities. @JoeDiddley We're getting it on the 30th. @Moroboshi We are getting the game on the same day as the US. Just the eShop download updates have different days covered for their "week". Both regions are getting it on 29th May.